The very best in ticketing for educational, community, and regional events. Sell tickets and make money for FREE! ShowTix4U has over 20 years of experience supporting arts organizations across the United States and Canada. The leader in easy, low cost ticketing, with free customer service for you and your patrons… 7 days a week. Trusted by thousands of companies and partners with the very best in the arts: Music Theatre International, PlayBill, and the Educational Theatre Association. ShowTix4U provides clients with full access to creating and editing events in real time. You can create events in 4 easy steps and be selling tickets within 5 minutes! Setting up events is completely FREE! Website Link Patrons can access your events on the ShowTix4U home page or through the direct link that we provide for your organization’s website and marketing emails. Seat Choice For events with Reserved (assigned) Seating, patrons can choose their exact seat location. USA/Canada ShowTix4U can be used by both United States (USD) and Canadian (CAD) businesses and patrons using their native currency. ShowTix4U accepts all major credit cards. Donations Patrons can donate to your organization during the purchase process or can give a donation without any other purchases. Ticket Options Patrons purchase your tickets in a secure, easy, and efficient online process where they can either download their tickets or have them mailed by ShowTix4U at no cost to you. Call Center Patrons can purchase tickets through our toll-free Call Center which allows an additional purchasing method at no additional charge to you. Customer Data While no patron credit card data is stored, patron contact information is kept up to date with no additional work for you. All customer data can be downloaded from the system. Tickets Patron's tickets include event and seating information as well as Poster, Map, and Advertising graphics you uploaded during the event creation process. Admission Types Sell tickets to Reserved (assigned seating), General Admission (first come, first served), or a combination of both. Reserved Seating With reserved seating events, we make it easy for you. Simply email us a seating chart, graphic, or hand written layout and we will create your custom seating chart in 1-3 days, FREE of charge! General Admission If your event is General Admission, simply set how many tickets are available for purchase and you can start selling immediately. Seat Types Ability to set seat types such as handicap, wheel chair accessible, and unavailable. USA/Canada ShowTix4U can be used by both United States (USD) and Canadian (CAD) businesses and patrons using their native currency. Ticket Pricing Options Create as many ticket pricing options as you want, presale, VIP, adults, seniors, children, complimentary, specific section pricing, etc. Later you will even be able to set who has access to each ticket price. Now that’s flexibility! When to Sell Full control of sale start and end times. Presales With ShowTix4U Presales, you determine a date and time for access to password protected events. 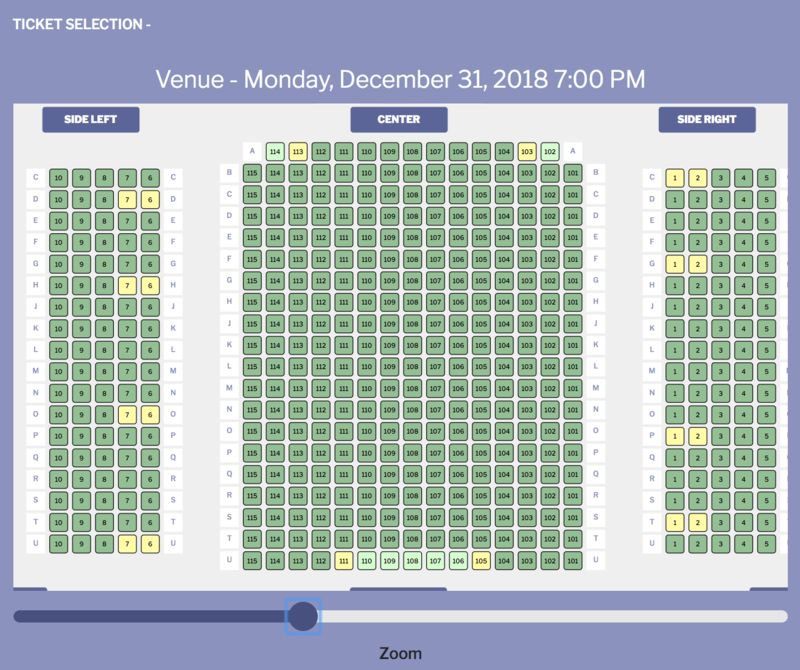 Pricing Options Determine what ticket pricing options are available to patrons and the box office all the way down to individual sections on your seating chart. I’m so happy I was referred to you. I needed to start selling tickets immediately for a fundraiser event and within 10 minutes I had my first ticket sale. I’m forever your client! Organizations find that, after switching to online ticketing, they have an increase in sales and patrons purchase earlier, allowing for funds to be available sooner. While you may be looking to sell tickets online to ease your workload, patrons are going to love the ability to pick their own seats whenever they want with no lines. …by far the best ticketing system around. Your team of agents has saved me countless hours. Payment methods Sell tickets with additional payment options such as Cash and Check. You keep the funds. Optional Equipment Use ShowTix4U's optional inexpensive printers and ticket stock to print professional-style tickets with stubs. No long lines ShowTix4U’s optional credit card reader helps keep your lines short with easy and quick processing of credit cards. VIPatron You can reserve tickets and automatically send an email to your patrons for payment that is entered directly by them. Reserve Seats Reserve (block) seats for technical equipment or for patrons that will purchase later. Comps Run complimentary tickets for VIP guests. Management With ShowTix4U's Customer Management you can search, view, and manage transaction history. Call Center Your patrons can utilize ShowTix4U's Call Center 7 days a week at no additional cost to you. Reports At any time, you can view your real-time account report to see gross and net sales for any of your events. Check-in Use the ShowTix4U Seating Report or Check-in App to check-in patrons. This fabulous program has saved me from dealing with long lines on the day of the show. It’s great to watch sales come in and my patrons love the added convenience. By selling tickets online you are automatically creating your customer database that you can use for marketing to invite patrons back to future events. When your event ends, download your reports, and receive your funds via check or e-transfer within 5 business days. It’s that easy! Any fees are subtracted from the balance in your ShowTix4U Account, which is revenue generated from online credit card ticket sales. ShowTix4U allows you to request one early payout per event. Account Reports can be viewed and downloaded in real time. At the end of your event, WOW your Bankers, Bookkeepers, and Treasurers with all the details. Our Treasurer loves the simplified accounting that your service provides. ShowTix4U, the only online ticketing company that is FREE for organizations choosing to pass on fees to patrons and will also give back to your organization by sharing advertising revenue on every ticket sold! For organizations choosing to pass fees on to patrons and participating in ad revenue sharing. *70¢ rate applies to shows licensed through Musical Theatre International. All other shows, per ticket fee is 75¢ + 3.5%, just 5¢ more. Receive Money Receive your funds via check or e-transfer within 5 business days of the closing of your event. ShowTix4U allows you to request one early payout per event. FREE for Organizations All fees are passed on to the patron unless you choose to incur fees. Percentage fee 3.5% only charged on credit card orders. In-Person Credit Card Sales For in-person transactions at your event/box office, the 70¢ can be passed on to the customer, but the 3.5% is paid by the organization. This is only for in-person credit card transactions and not patron online purchases. 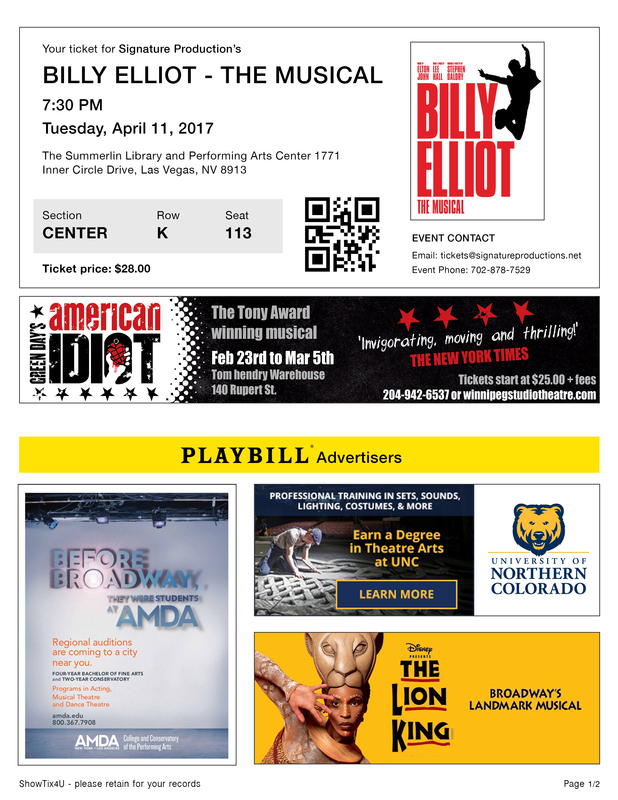 Mail Tickets ShowTIx4U can print and mail tickets to patrons, if they choose, during the purchase process. Patrons will be charged $1.75 per order for this service. There are no fees for you. Optional Equipment ShowTix4U offers inexpensive, optional Box Office Supported Equipment. Thank you ShowTix4U! This fabulous program has saved me from dealing with long lines on the day of the show! Don’t be fooled by other ticketing companies with higher flat rate fees that promote free equipment. This simply means if your ticket price is low, you are paying MORE per ticket in fees. Nothing in life is free and higher priced fees “pay” for “free” equipment year after year. © showtix4u All rights reserved.